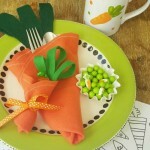 Easter is such a super fun time to create and decorate! 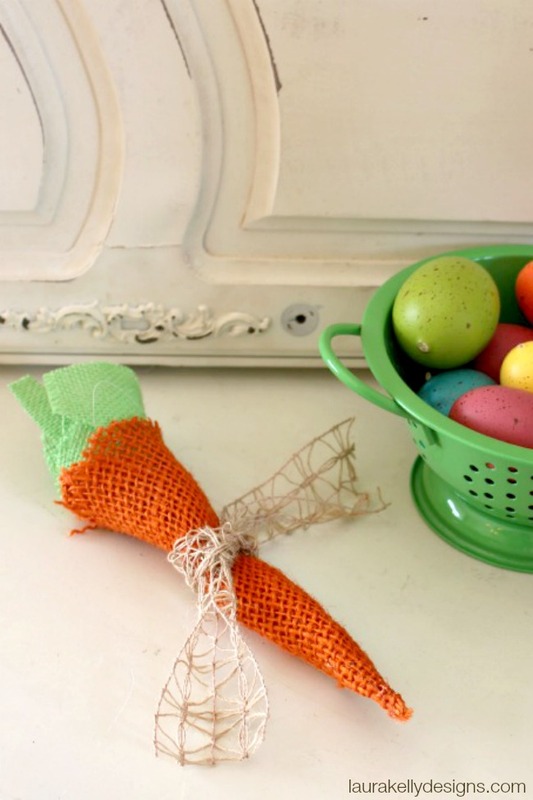 There are lots of great things in the stores but nothing beats making them yourself and these DIY Easter Burlap Carrots are one craft that is easy enough to do a bunch of. 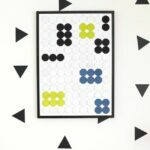 You could make them to tie on springtime gifts, create a garland or fill a basket. 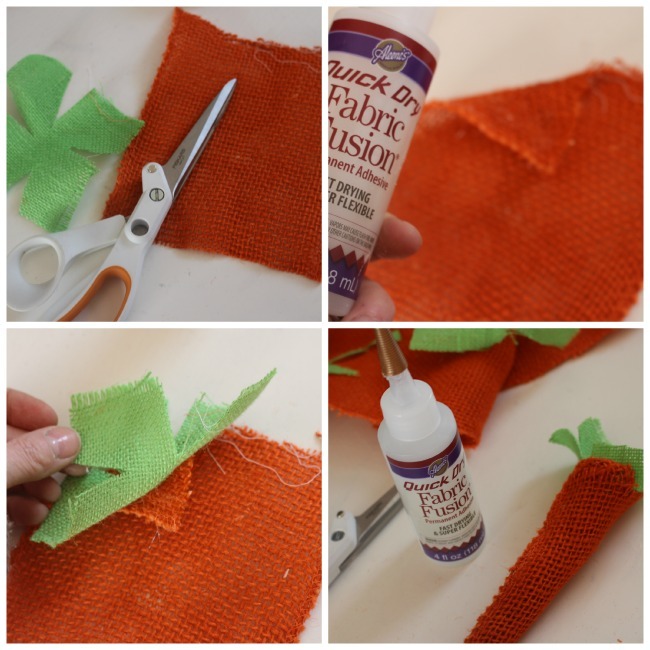 Here it is…a super crazy easy way to make a DIY carrot out of burlap to be used in decorating for Easter and springtime. 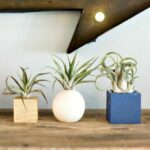 You only need a couple of things and you can make a whole garden of these adorable things. 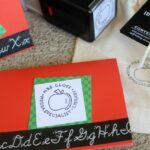 You will need burlap in orange and green (and brown if you want to make a bow), scissors and Quick Dry Fabric Fusion from iLoveToCreate. Here are the steps. Pictures are easier than words here. 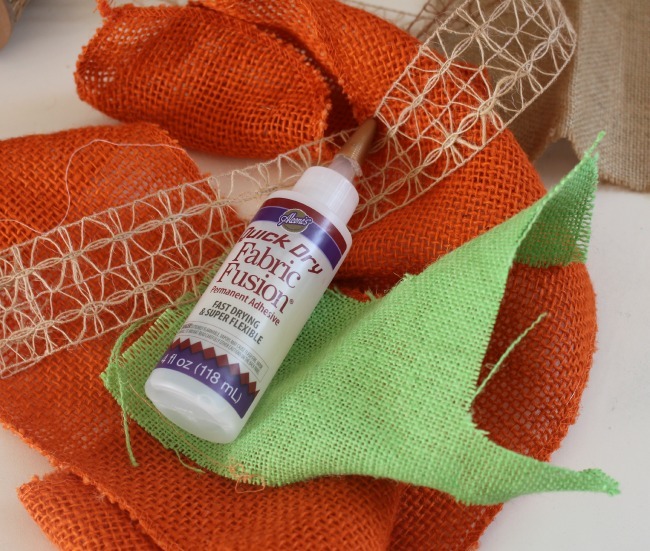 Note…the Fabric Fusion is super sticky so use what you need and try to keep if off of your fingers. 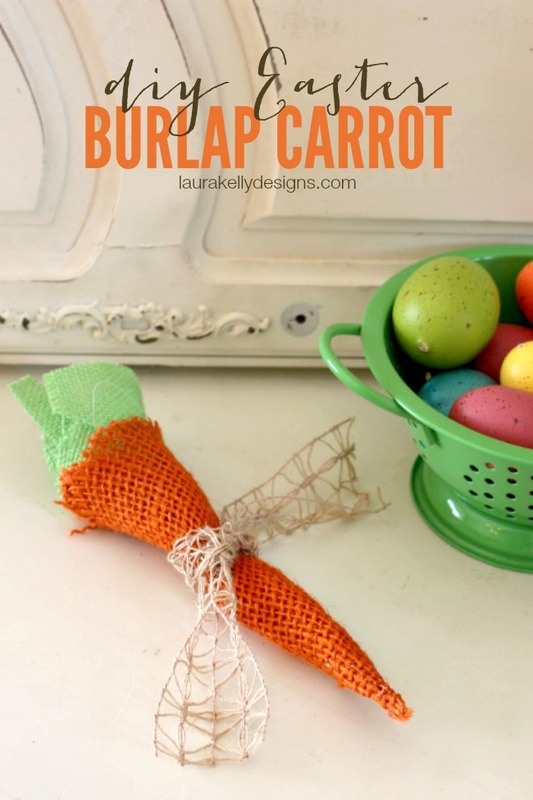 Now you have all you need to make your very own DIY Easter Burlap Carrots! Perfectly adorable DIY Easter Decor! Aww how cute, what a great idea!